A number of Canadian military veterans say they'll be enlisting with the growing ranks of foreign fighters who have joined the Kurdish battle against ISIS in Syria and Iraq, CBC News has learned. A number of Canadian military veterans say they'll be enlisting with the growing ranks of foreign fighters who have joined the Kurdish battle against ISIS in Syria and Iraq. CBC News has learned of a half-dozen former Canadian Forces personnel planning to join Kurdish troops in the following weeks and months, with some citing what they see as an insufficient military response by Canada to the onslaught by the group known as the Islamic State in Iraq and Syria. At least a half-dozen others are said to be considering going. The earliest any of the veterans said they would head to Iraq, where the Kurdish effort is centred, is next month. "I got put on this Earth to do one thing," explained one of the men, who served in Afghanistan and who spoke with CBC on condition he not be identified. "I got this fire in me. I still want to soldier on." He characterized Canada's military response to ISIS as "OK, but it's definitely not adequate," and said there should be "boots on the ground." The man said he plans to enlist with four or five other friends from the military, and has few compunctions about possibly encountering fellow Canadians fighting for ISIS on the other side. "That's the enemy in my opinion​.... ​If I come across an ISIS member that is Canadian and he's shooting at me, I will shoot back." A Kurdish commander told CBC News a Canadian military veteran had recently arrived and is currently on the front lines. 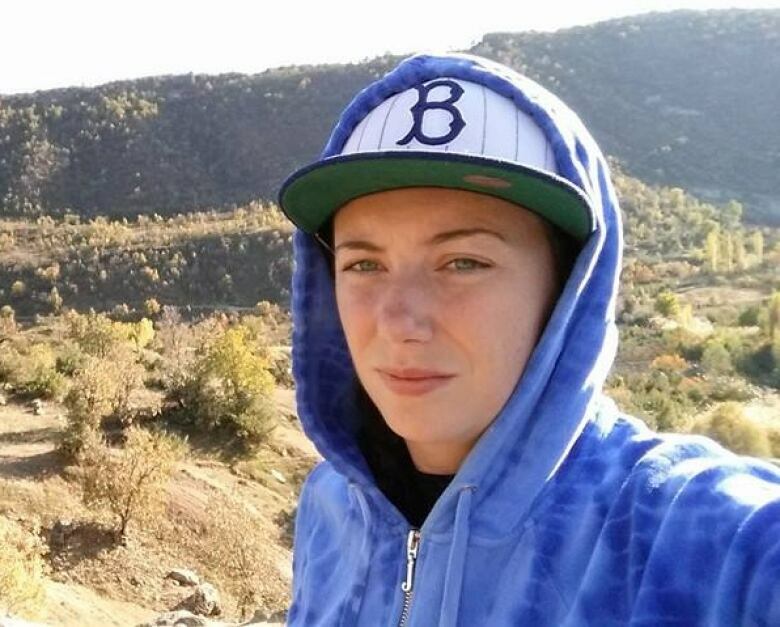 Canadian-Israeli Gill Rosenberg became the first foreign woman to join the Kurds when she travelled to Iraq to train; she told Israeli radio last week she would go into combat in next-door Syria. Dillon Hillier, a construction worker in Alberta and veteran of the Afghanistan mission, flew to northeastern Iraq last weekend, it emerged on Friday. When asked about reports Hillier is in Iraq, Ontario MPP Randy Hillier and wife Jane Hillier said in statement: "There are no words which can adequately describe how proud we are of our son Dillon, including his past service with the Canadian Armed Forces. While we have limited contact with Dillon, we do know he is safe and sound. "As a proud Canadian, he has always cherished and defended the freedoms we are all afforded in this great country," the statement continued. Department of National Defence officials meeting at a security summit in Halifax had no comment on the matter when asked by CBC News. It is not illegal in Canada to enlist in a foreign militant force, provided it is not a group the federal government designates as a terrorist entity and it is not engaged in hostilities against Canada or its allies. That does present a potential problem in this case, though, said Jez Littlewood, an assistant professor of international affairs at Carleton University in Ottawa. "There are strong indications that we're seeing groups from Turkey such as the PKK, who are also supporting the Kurdish forces, the Peshmerga, in northern Iraq," Littlewood said. The PKK — the Kurdish initials for the Kurdistan Workers Party — is a Kurdish nationalist militant group that Canada lists as a terrorist entity. "So there's a risk that any individuals who come into contact even inadvertently or indirectly with the PKK could in fact be falling afoul of supporting a terrorist organization," Littlewood said. Enough Canadian veterans have expressed interest in fighting alongside Kurdish forces that a number of them have formed a support group. Ian Bradbury of Ottawa said the 1st North American Expeditionary Force, as the group is known, aims to provide guidance and verification of overseas contacts for freelance fighters. "We make sure they have an understanding of what it is that they're doing," and advise on things like kit preparation and travel plans, he said. He added that the veterans he's heard from are motivated by the perception ISIS is working to "terrorize" civilians in Iraq and Syria. "It's definitely pulling at the strings of a lot of the guys that take it on themselves to be the defenders of innocents," Bradbury said. 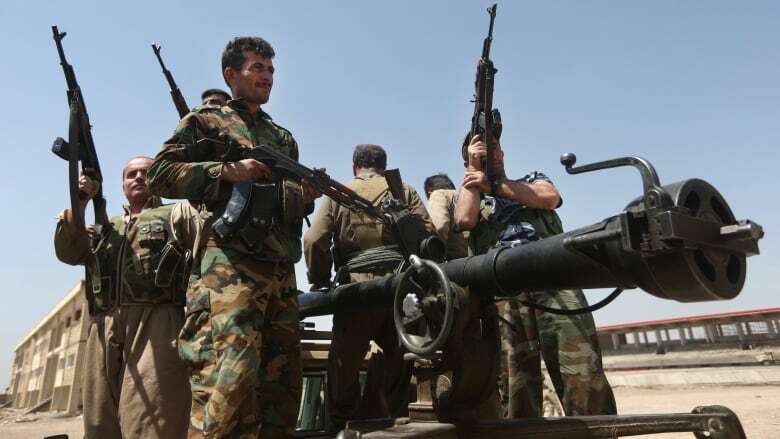 Kurds in the semi-autonomous Kurdish region of northern Iraq have been battling militants from the Islamic State of Iraq and Syria group, also known as ISIL, for months, backed by the United States and the European Union. Kurdish Peshmerga forces have also more recently entered neighbouring Syria to counter ISIS there, particularly around Kobani. Canada began deploying fighter jets and support personnel to the Mideast last month as part of an aerial bombardment mission against ISIS.